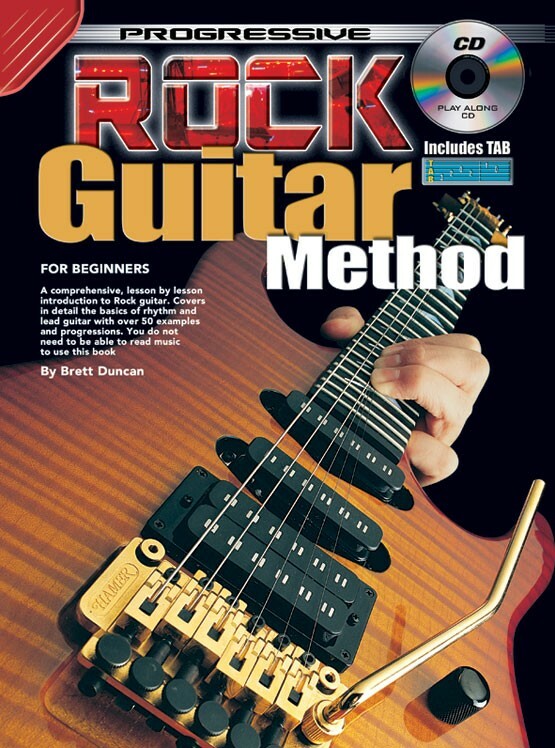 Introduces you to the exciting world of rock guitar. It will not be necessary to have any previous knowledge of the guitar, as this book is suitable for the complete beginner. Experienced guitarists however, who perhaps have not tackled this style before, will find this manual invaluable as an introduction to the basics of rock guitar. 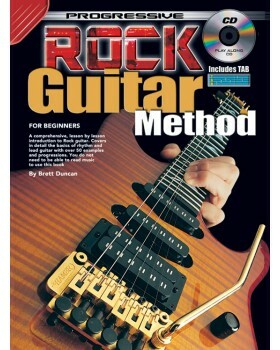 "Progressive Rock Guitar Method" was highly recommended by my son's guitar instructor for practicing on his own at home. This has been a big help in learning chords with the easy to follow lessons and companion CD with play-along songs.